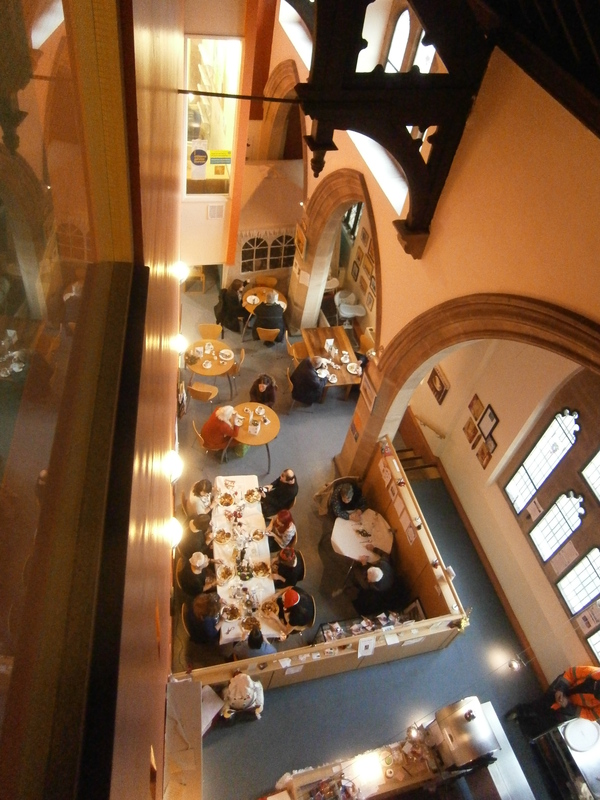 Tucked away in the Four Clocks Centre, the beautifully converted Wesleyan chapel in the hub of the town, is a gem of a cafe run by Mother and Daughter ( Jane & Clare ). 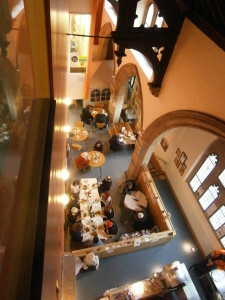 Enjoy mouth-watering home cooked food, quality coffees and speciality teas in unique surroundings. There is something for everyone to savour. Hungry? – Time for a meal? Choose from a wide selection of freshly made hot food, like the popular all day breakfast, freshly made pies and quiches plus our daily specials i.e. lasagne all served with chips and salad. Peckish? – Time For a bite? How about a hot bacon sandwich or a Panini. Choose a freshly cut sandwich from a variety of fillings and served with our delicious coleslaw, crisps and salad. Thirsty? – Time For a cuppa? Have a pot of tea or a speciality coffee, or how about a hot chocolate for a change and with it a slice of homemade cake or another tempting freshly made sweet treat. Too busy? – No Time? Choose to take away and as all our food is freshly made, please allow time for your order to be prepared.